Deepin File Manager (DFM) reached version 1.4 at March 2017. Its a bugfix version, but very interesting as it brings many new features. The most noticeable changes are Settings dialog, new disk-space display, new "Format" option on disk storage, and new copying dialog. It's smoother now by having drop shadow on file/folder icons. DFM is much more beautiful and usable in this 1.4 version. 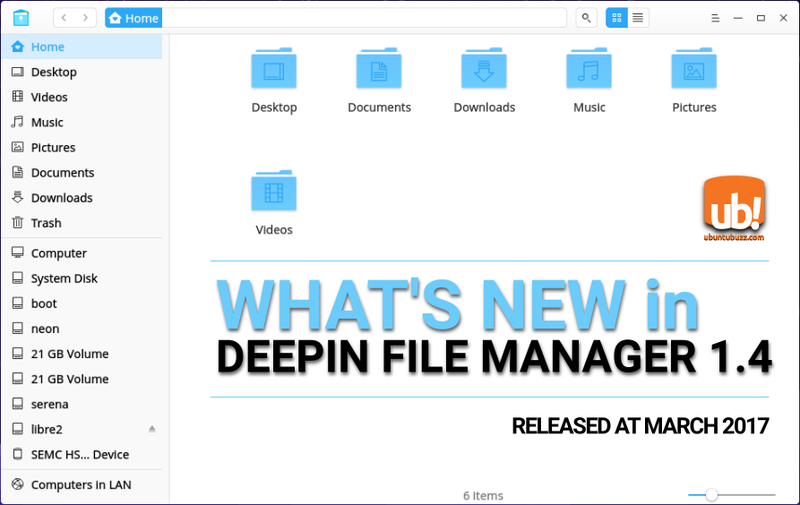 Anyway, you can upgrade DFM to 1.4 on deepin OS, or in another distro (Manjaro DDE or Ubuntu). 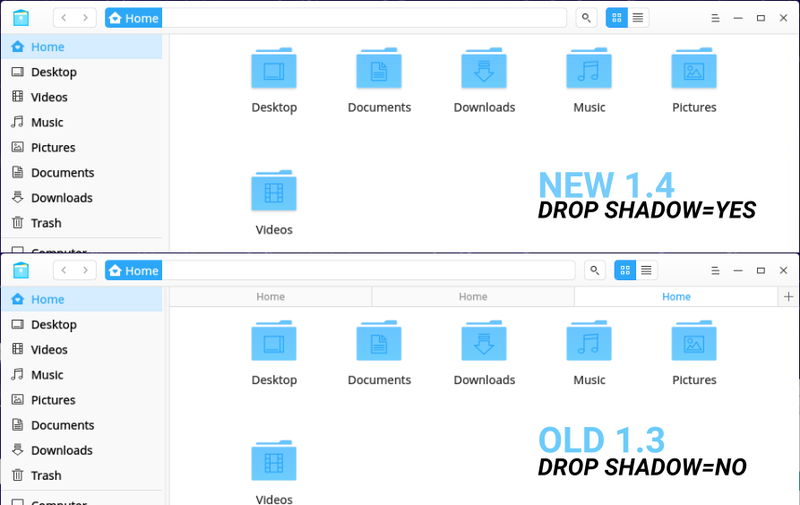 Visually, the new drop shadow on every file icon makes DFM smoother. This change is very noticeable. Previous versions have no "Settings". Now, DFM has its own settings. It's still beautiful and tidily designed. It has basic & advanced divisions, to control previewing, auto-mounting, double-click, and another behaviors. 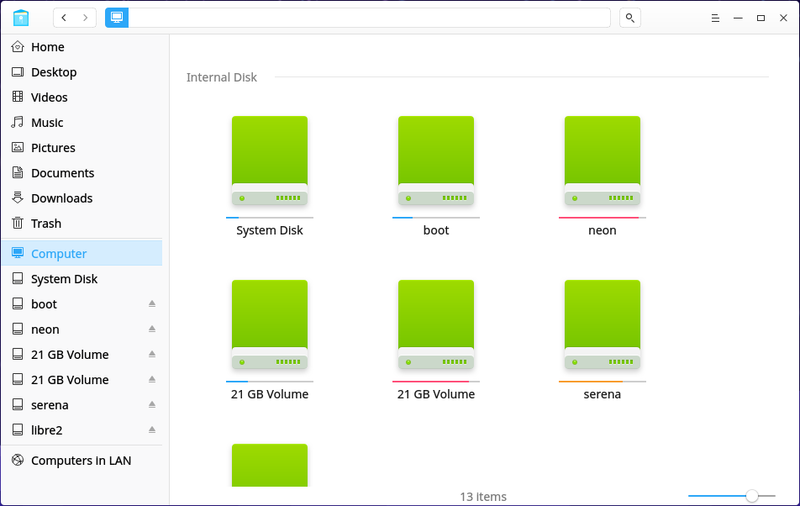 Now, every storage device show disk space bar on "Computer" view. Certainly this is a beloved feature for end-users. I wish the next version will get disk-space displays right on left panel. A new addition in DFM context menu is "Open in new window as admin". 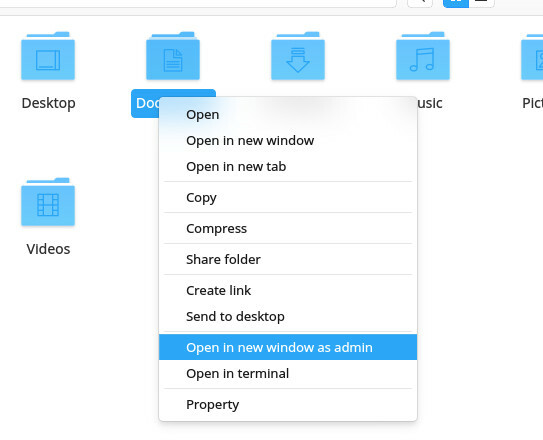 This shown when you right-click a folder/file. 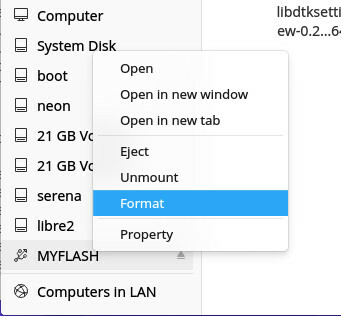 When you plugged in a flash drive, now you have "Format" option while right-clicking on it. 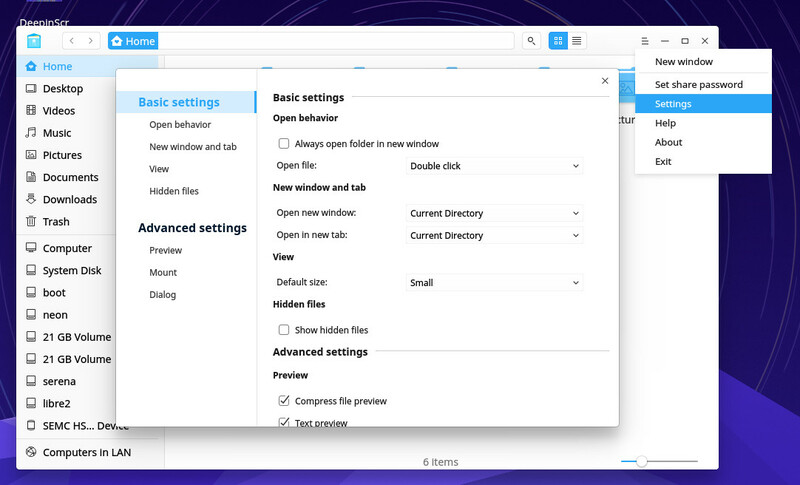 It will be very familiar to Windows users. The copying-progress dialog has been redesigned.